Polling on technologies like driverless cars, hyperloops, and supersonic flights (reveals) customers are not that interested, at least not yet: While the majority saw benefits to the new technology, like reducing emissions and reliance on traditional fuel sources (74%), faster travel times (88%), and reducing the stress of travel (63%), many said they didn’t want to pay higher prices and didn’t trust the tech. 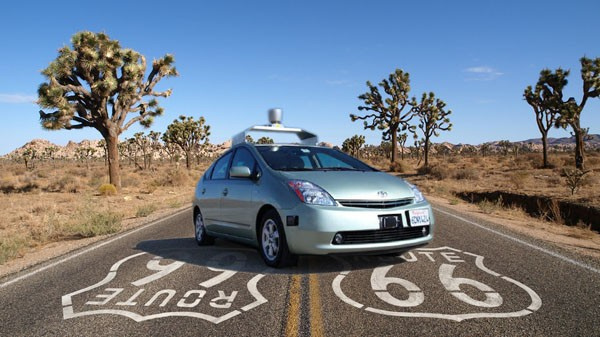 54% believe self-driving cars will be the norm/reality by 2030. Travelzoo has peered into its crystal ball to study the future of travel, and it turns out, customers may not be ready for it. The company asked travelers how they expect to travel in the future, polling them on technologies like driverless cars, hyperloops, and supersonic flights. Customers are not all that interested, at least not yet: While the majority saw benefits to the new technology, like reducing emissions and reliance on traditional fuel sources (74%), faster travel times (88%), and reducing the stress of travel (63%), many said they didn’t want to pay higher prices and didn’t trust the tech. Among the respondents, 54% believe self-driving cars will be the norm/reality by 2030, but 77% percent of people don’t feel comfortable traveling via driverless transport. Meanwhile, 40% of people said they would use it but it would make them feel uneasy, and 37% swore they’d never use it. Those numbers dropped even lower when it came to pilotless planes, helicopters, or drones, with only 8% of respondents saying they thought those technologies sounded like a good idea. While the idea of driverless still freaks people out, respondents were curious about the hyperloop. Fifty-two percent of survey respondents said they would be most excited about arriving or departing from a vacation via high-speed, hyperloop tube. They were also interested in supersonic aircraft, because traveling from New York to London in three hours (as the Richard Branson-backed Boom Supersonic aircraft promises) is a great way to maximize vacation time. Interest in supersonic flight was higher among older respondents, with 51% of the 55- 64-year-olds eager to give it a whirl versus 30% of 18- 34-year-olds. Perhaps the older age group knows they are more likely to be able to afford the ticket price, which is estimated around $5,000 a pop.